Christmas is already here and people have began to celebrate it. Looking at a very close perspective, you’d agree with me that we’re already close to entering a new year of 2019 filled with love. Oh how fast 2018 was and i sincerely hope and pray that the upcoming year will be much more better and promising. However celebrating Christmas without having the best Christmas apps installed on your android device isn’t complete. This celebration is something that comes once in a year and marks the day our lord Jesus Christ was born. There’s joy everywhere because been alive up till this very year is no easy thing and thanks to the almighty God for his benevolent mercy. Also Read: Top 5 Best Cooking and Recipe Apps For Android. After vetting the Google play store, we’ve benchmarked the best Christmas apps for your android device to help fill up the Christmas spirit. A good tiding is what everyone hope for in this upcoming year and that is what I sincerely wish for all of you. You shouldn’t feel the Christmas breeze alone without getting your android device involved. The reason been that one of the valuable and fast communicative object you’ve in your possession is that device you’re holding. They might look small but the content in it thinks big. 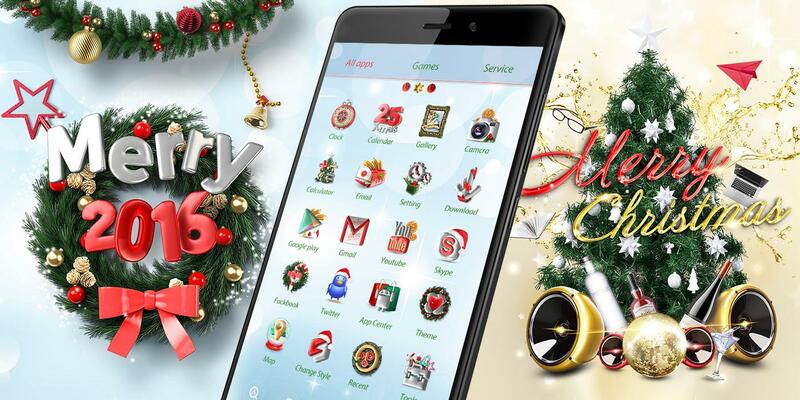 Thus there’s a need to let your android phone at least get the taste of Christmas celebration by bombarding it with some cool essential Christmas apps. Enough said already, below are the best Christmas apps for android to keep up with the celebration. 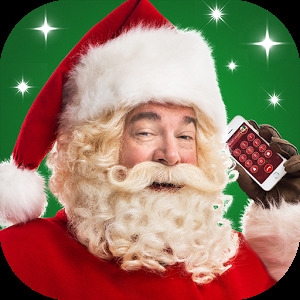 A call from Santa is one of the great and most rated Christmas apps for android. Specially made in a funny way for your children. With this app, you can amaze your kids by requesting a personalised phone call from Santa Claus. This definitely will impact a good behavior on your kid making them feel the air of Christmas. The app comes with lots of extraordinary feature and you can receive unlimited calls from Santa for free. Also there’s a chance of conversing with Santa Claus through messages which he will instantly reply to. One of the amazing thing about this app is that santa can mention your child’s name, age and interests during the call and much more. Christmas isn’t complete without installing this app on your children’s mobile. Currently over 1 million people downloaded a call from Santa from the Google playstore. If you want to be in the mood for Christmas, then Christmas radio will definitely achieve that for you. The app contains over 20 Christmas stations and song title has been added for more improvements. Christmas radio is extremely a great app with an intuitive design and thus there’s an option to play your favorite christmas song from diverse selection of gospel christmas song and much more. The app is simply the best and have been integrated with a Background Audio features which allows you to surf the Web while you listen to your favorite Christmas songs. You can also stream songs online and definitely you can’t get tired of this app. It’s the best and a must have! Currently over 100 thousand people downloaded free Christmas radio from the Google playstore. 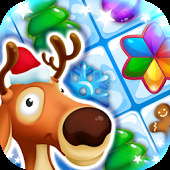 Christmas sweeper is one of the most addictive and intriguing Christmas game for android. It contains 800 levels of match filled with lots of new challenges. You can simply light the candles, catch the jumping snowmen and fill the gift bags. There are no lives to lose in this game, and you don’t have to annoy your friends to progress. Play as long as you want thus Swap, drag and sweep the cute Christmas pieces, like the christmas tree, santa’s hat, Christmas bells and baubles, gingerbread man and ice crystals. Make matches of 4 or 5 to create powerful bombs and power-ups. And use Santa’s mitten to collect a single piece. You’ll be rewarded with cookies and soda. Christmas Sweeper 3 will keep you engaged until long after Christmas and fill the long winter evenings with lots of pleasure. Currently over 500 thousand people downloaded Christmas sweeper 3 from the Google playstore. 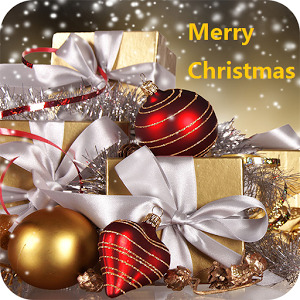 Christmas wallpaper comes loaded with the best HD wallpapers and Christmas gift for your android device. If perhaps you’ve ever thought of how to decorate your cell phone or tablet background and make it more attractive, Then the best choice is to set one of the Christmas Wallpapers as your desktop. It is a wallpaper program, including Christmas gifts, Christmas Eve, Christmas snow and more. This wallpaper contains pictures which are very realistic. You will definitely find HD images which cannot be seen on other Christmas wallpaper apps. The app comes with lot’s of excessive features and better experience. You can easily save beautiful Christmas wallpaper on your SD card and share it with your friends and families. Currently over 5 thousand people downloaded Christmas wallpaper from the Google playstore. The Gold Christmas Tree theme is yet one if the best christmas app packed with HD Gold Christmas Tree wallpapers and exquisite Gold Christmas Tree app icons, designed for mobile theme fanatics. If you want to make your android phone smoother and smarter, the Gold Christmas Tree theme is the best option for that and it’s completely free. 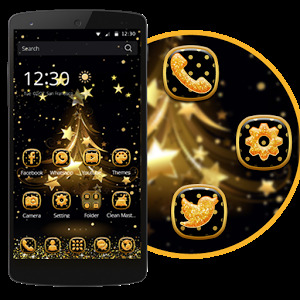 The app contains Beautiful Gold Christmas Tree lock screen to protect your privacy and cool icons to make your phone shine among others. With the Dynamic Gold Christmas Tree wallpapers with weather forecast, this app is definitely more than just a wallpaper. The app comes loaded with lot’s of benefits and you can easily find your favorite sports theme, along with your favorite celebrities, cartoons, and anything else. Currently over 100 thousand people download gold Christmas tree from the Google playstore. The above list of recommended Christmas apps might look small but they’re the essentials and worth having. Don’t deny your android device of this year’s merriment for a well tendered phone will surely last long and will thank you for it. We geeks at techviola are wishing you a bountiful merry Christmas and a happy new year in advance. May the good tidings from the almighty God bless you, your families, your friends and all your endeavors to success. Keep the merriment going for christmas is something that comes once in a year and every seconds needs to be celebrated. Our saviour Jesus Christ has been given birth too and his blessings is what we eagerly wish he bestows on us. Once again Merry Christmas and a Happy New year in advance.